The culture of jailbreaking the devices to access modified features and tweaks is diminishing with every passing day. This has interest developers to look for other tools to achieve the same purpose. In this quest, developers have been working on app installers which do not require any jailbreaking and are well equipped in providing the experience that users got through mediums like Cydia. 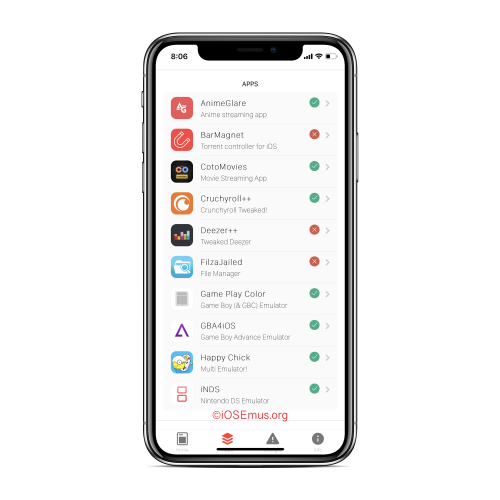 iOSEmus is one such app installer that provides access to plenty of modified apps and features to its users without any jailbreaks. It is loaded with amazing features to offer. And it is very easy to install on your device too by making few clicks. Flash Apps – These are those apps that are not present in the iOS app store originally like the ones in Cydia. iOSEmusApps – These include the emulators, screen recorders and other stuff. App Store Apps –These are the premium and paid apps that can be used for free. Modified Games –These are the hacked versions of your favorite games that you can enjoy. Tweaked Apps –These are the modified apps, like Instagram and Snapchat, with enhanced features that normally don’t come with the stock apps. Open Safari browser in your device. Open Download iOSEmus on your device Safari browser. Locate the Configuration Profile Link. Tap on Allow > Tap Install. Now, you can close Safari. iOSEmus is installed and you can find it on your Home screen too for quick access. How iOSEmus is Better than other Apps Installers? One of the other app installer options is vShare. In fact, it is one of the first that came in the market and could be used via Cydia. But since the usage of Cydia became difficult due to the absence of jailbreaking options, vShare got developed as third-party non-jailbreak app installer. Although it also does provide unlimited access to some of the premium and paid content for free to its users just like iOS Emus. But it is quite behind in terms of the variety of content. On the flip side, iOS Emus opens the door to a wide range of third-party apps of the likes of those that were present on Cydia. vShare lags behind iOSEmus in this aspect. Also, although both apps are community driven, iOSEmus gets access to all the updated and latest versions of the apps and other content much earlier than vShare. If we compare the two, iOSEmus is a much better option than other app installers to have on your device. So, iOS Emus and enjoy all the cool features it has to offer. In case you don’t wish to continue, it is equally easy to delete it from your device. In short, it is definitely worth trying. Connect with iOSEmus developers on Facebook.